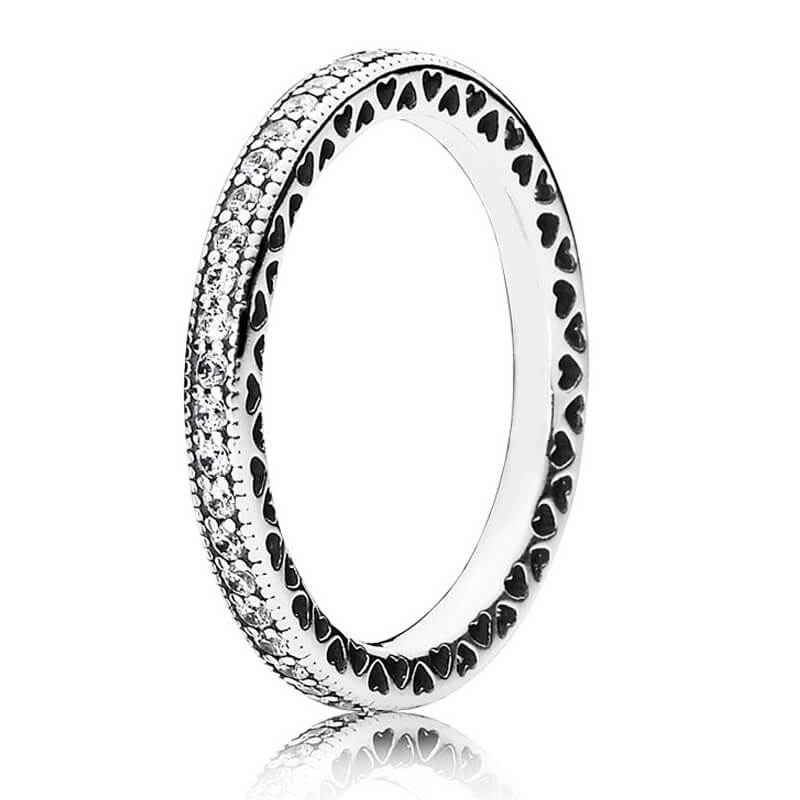 Hearts of PANDORA Silver Ring with delicate cut out hearts and sparkling stones. Dispatches complete with PANDORA box, gift bag and ribbon. Excellent website and service! Fab ring too!